On the last day of the year, I woke in the late afternoon to the first real snow I’ve seen this winter. Sleepy-eyed and having little ambition to run out into the cold with my camera, I made myself some rooibus and sat down at the kitchen table to watch the woods fill up with snow. As I told my co-workers and classmates at the beginning of the fall semester, this year has been a mix of incredibly awesome and incredibly not-so-awesome. Although I try not to be superstitious, I went into 2012 knowing the Year of the Dragon promised to not be kind; I’m not sure I was fully prepared for some of the challenges, transitions, and losses that came my way. That being said, I made it through to the other side, and the pendulum swings both ways—no pain, no gain, as they say. Despite all the times I feel as though I fell short, or faced situations that did not go my way, if 2013, the Year of the Snake (the year I was born in), can be as successful as 2012, I think I’ll be better for it. All that I really ask of 2013 is that it be a little more forgiving; it will also be a time of transition and change. I try to keep a fairly inclusive list of news that comes up throughout the year, but I’d like to highlight some of the achievements and activities that feel most important to me. 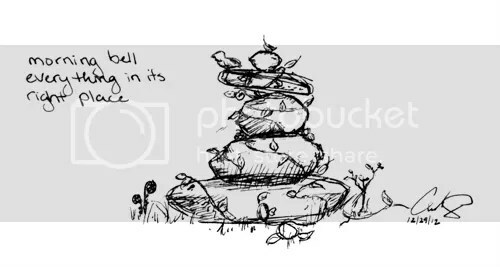 • Editorial: I just finished selecting work for my first issue as haiga editor at A Hundred Gourds. I was also able to make some headway on the Anthology of English-Language Haiku & Senryu by Women in the last few months; I know there are some who are still waiting to hear back, but please, please be patient. If you haven’t already, take a look at the link as there are some updates from September that will hopefully answer any questions you may still have in regard to the project. In short: It will be finished, with time. I’ll be continuing my work in 2013. In other editorial news, I’m finishing up putting together the chapbook anthology from the third Cradle of American Haiku Festival; it should be available in the spring. • Projects: Of course, this post would be amiss if I didn’t mention the projects (7 collections, one monthly challenge) put together and posted on Yay Words! during 2012. The success of these rests with the participation and creativity of all who participated. I know I say it with the release of each one, but thank you. I never imagined they’d become so popular, or that I would do so many of them. The crowd favorite is undoubtably Things with Wings, though I’ll admit fox dreams has a special place in my heart. However, I can’t just say one was my favorite. Sea Bandits took me the most by surprise, and open email was the biggest whim since Tea with Trolls. If I had to pick one that I wish had come out differently, it’d probably be Winged Moon, though I still adore it. • Publications: The news link includes all my publications, but mainly I want to focus here on anthology publications. In the first half the year, I had work in both Take Five: Best of Contemporary Tanka, Vol 4, and the 2011 Red Moon Anthology of English-Language Haiku. The Temple Bell Stops: Contemporary Poems of Grief, Loss and Change and A Blackbird Sings: A Book of Short Poems came out in the second half the year. In the last month I was informed that I’ll also have work in two anthologies from Red Moon Press in 2013. Although it’s not an anthology, I have to mention that I am also tickled to have been in Mayfly for the first time, and to have my haiku appear on the cover of issue #53 with one of Lidia Rozmus’ beautiful haiga. 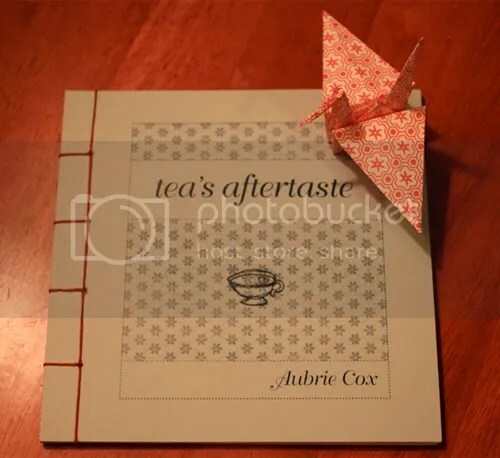 • Awards: I don’t participate in a lot of contests, but due to the nagging of a few people, I submitted a tanka sequence which won the Penscape competition at Ball State University. Outside of contests, I was honored to receive the Museum of Haiku Literature Award for my haiku in Frogpond 35.1 and The Distinctive Scribblings Award or my tanka in Eucalypt issue 12. As part of the latter, I selected one of the two tanka to receive the award for issue 13 and wrote an appraisal that should be available on Eucalypt’s webpage in the coming weeks. Outside of these lists, I completed my first full year of teaching (with surprisingly positive student evaluations), presented at the Cradle of American Haiku Festival, and took another step forward in regaining the artistic ability I thought I’d lost back in early high school. The last one has been something that is still rather hit and miss, but I’m grateful for all the encouragement and positive feedback I’ve received through doodleku like the one at the beginning of this post. The gifts of poetry, art, and community everyone has given me over the last couple years has not only helped me in my own creative endeavors, but has helped me to be open and seeking to help others in their creative journey. This includes my students, which I feel has been critical in helping them find their voices as writers. So in short, I’m incredibly grateful to everyone and hope to continue to find ways to give back in the coming year. Tomorrow will begin the third year of Yay Words! and the writing challenge (which also began in 2011) that gave this blog its kickstart. Formerly known as “River of Stones,” the Mindful Writing Challenge 2013 is hosted by Kaspa and Satya (formerly Fiona); writing small stones is a healthy way to get your writing year off to a good start, and if you’re not already thrown your hat into the ring I’d strongly encourage you to take a look. I’ll also be offering a new challenge during January for those who can’t wait for March for a doodle fix; more on that in an upcoming post. Two more writing events are certain as of now: Following directly after Mindful Writing, I’ll be participating again in NaHaiWriMo during February. And yes, for all who have been holding their breath, “I Doodle, You ‘Ku” will happen again in March. I’ve a few more themes and projects in the works, but those are for later down the road (and I’d hate to ruin the surprise). • Regularity: One of my worst blogging habits is that I will sometimes go for months at a time without updating (and without warning). I’m not saying I want to be able to update every day of every month of the year, but I do want to establish a little more consistency. I’ve had so many ideas and plans for this blog; I want to have more than just my little bits of writing; I want to talk about writing, and call attention to things that interest me. The concept behind the reader response series, for example, is something I would like to pick up again. • Book Reviews: In a way, this falls under regularity and “things I’ve said I’d do but haven’t,” but I feel like it deserves a category all on its own. I’ve been saying from the beginning that I would put book reviews on this blog, and have a book or two that I’ve started to write reviews for and haven’t completed. This is something I desperately want to change. I know I keep myself plenty busy as it is, but reviews are something I like to do—I feel they keep me in the habit of being aware as a writer and editor. If I can get my act together on this, I plan to review both poetry and prose even though this blog does, at the moment, tend to focus on micropoetry. That being said, I’ll take it a day at a time and see what happens. • Every Day (or at least try): Even though I don’t intend to update my blog every day, I want to make a better effort to at least write every day. Saying I will write every day is just setting myself up for failure and disappointment; I know once I fall off the bandwagon, I’ll just get farther and farther behind since my mentality will be, “Well, I’ve already failed, so there’s no point in keeping it up; I’ll just wait until I have more time/a good idea comes along.” That just won’t fly. Instead, I’ll aim to write as often on a daily basis as I can. If I miss a day or two here and there, I need to be far more willing to forgive myself, because then I will be far more willing to continue. Blogging and personal writing aside, I’ll also be working on my thesis this coming semester, which will center around tanka. I’m sure it’ll come up again at some point in the near future. As for all of you, I wish you a fruitful and productive 2013. Write some things, do a doodle. May the words flow easily and may your writing and artistic endeavors take you in new and exciting directions. After all, words (and art) are exciting. Happy New Year and Yay Words! Today is, among many things, the first Mindful Writing Day brought to you by Writing Our Way Home. The link has more details, but basically take a moment, pay attention, look around you, and write about it. For me… it was seeing the world in sunlight for the first time in about a week. 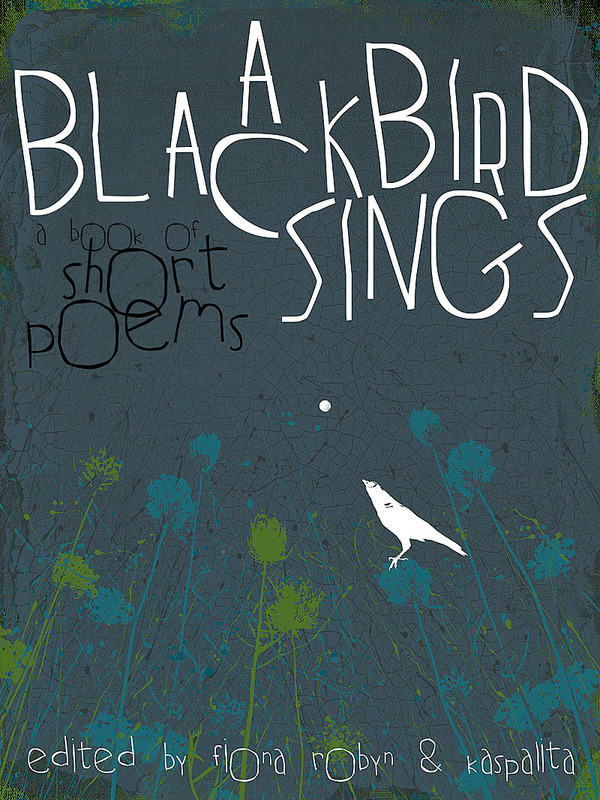 It’s also the official release of A Blackbird Sings, a collection of short poems from those written during Small Stone Writing Month (January). I’ve two poems included this charming collection, and if that wasn’t exciting enough, today you can get a Kindle copy for free on Amazon. Even if you don’t have a Kindle, you can still read this on your computer, iPad, phone, or wherever you can download a free Kindle app if you don’t have one already. Trust me, it’s worth it. Although this is old news by now, I realized today that I never officially announced it on here on the blog aside from including it my news page with the publications at the beginning of last month. A Hundred Gourds is a journal that I have admired since its beginning, and have been incredibly fond of the editorial team. Over the summer, I was informed that Melinda Hipple, one of the founders, was stepping down from her position as haiga editor to pursue the next adventure in life. Some things happened and one thing led to the next, and eventually it was decided that starting with issue 2.2 in March, I will be editing the haiga section of A Hundred Gourds. My first issue will be in March, but the submissions period is now. From September 15th to December 15th is the submissions window for issue 2.2. You can look on the submissions page for more information. I’ve also included my little spiel below. Hope to see some of your work! On the most fundamental level, I consider haiga to be the combination of an image and short poem. However, the poem should not explain the picture or vice versa. Rather, the poem should expand upon what’s presented in the image and vice versa. This expansion may play off an emotion, theme, or detail that’s presented in either or both the image and poem; the image/poem may also alter the audience’s perception of the poem/image. The best haiga do not always have an obvious connection between the poem or image, but resonate and create an experience that would not be possible by the poem or image alone—the two art forms come together to create something new when put together that would not exist otherwise. That being said, both the poem and image must be well crafted and be able to carry their own weight.